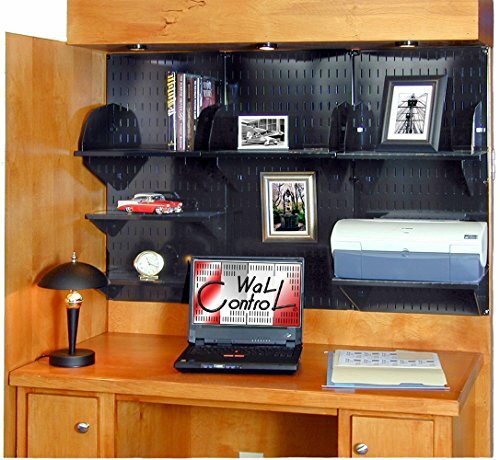 The Wall Control Office Organizer is a versatile wall-mounted office desk storage and organization kit that turns wasted wall space into functional and attractive desk or office storage. Whether you're storing and organizing desk clutter or heavy office supplies, the Wall Control Office Desk Organizer is up to the task thanks to an all metal construction and an attractive, rich, powder-coated finish that features clean lines and a great appearance. Not only is the office organizer strong and attractive but it is also magnetic due to the office organizer's heavy-duty all-steel construction. 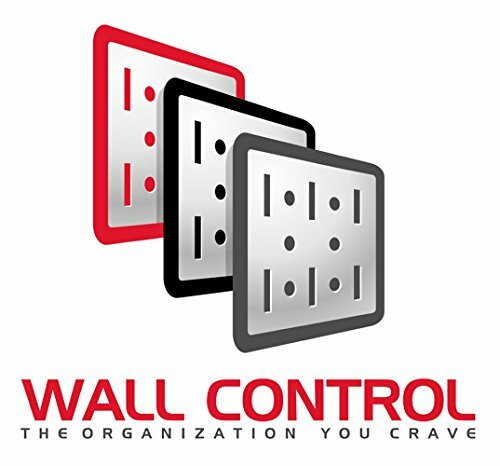 Office supplies storage and organization is simple with Wall Control's strong and attractive slotted wall organizer panels. Three 16in x 32in Black powder-coated slotted panels combine for a total office storage and organization storage area of 48in x 32in, over 10.5 square feet of attractive office storage and organization space for over a desk as a desk organizer or on wasted wall space as an office organizer for general office storage and organization. 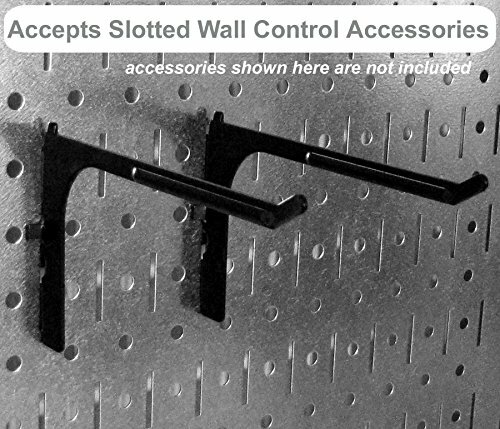 Wall Control shelves and hooks quickly rearrange in any configuration you require for your desk storage and organization needs maximizing office organization versatility. 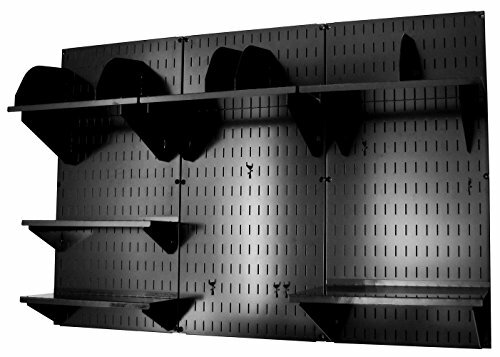 Office Organizer installation is quick and easy due to the slotted panel's pre-drilled mounting holes and built-in frame return flange which provides hook clearance from the wall requiring no additional framework for the wall mounting desk organizer. 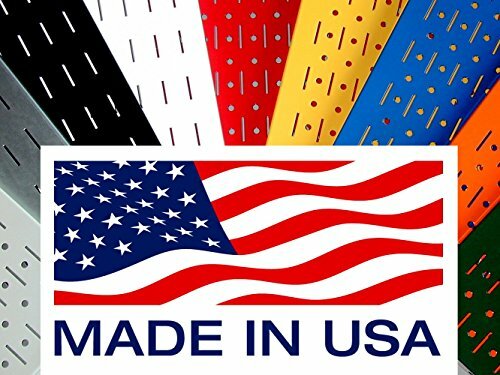 Wall Control Desk Organizers and Office Storage and Organizational Products are Made in the USA. The Office Desk Organizer Kit Includes: (3) 16in x 32in Slotted Office Wall Storage Panels (3) 9in x 16in Office Shelves with Shelf Dividers (1) 12in x 16in Office Shelf Assembly (2) 6in x 16in Office Shelf Assemblies (1) Pack of General Purpose Hooks for hanging and organizing office items. Mounting Hardware is Included. 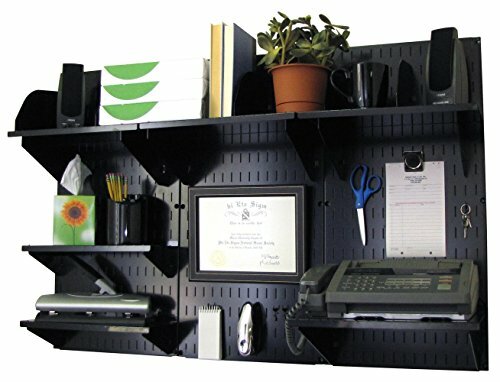 Black office storage panels with Black storage accessories. Office Equipment Not Included.